GENEVA - As an advocate for the abolition of nuclear weapons, I don’t have the luxury of mincing words. There are an estimated 15,000 nuclear warheads scattered around the world, and eliminating them means speaking truth — and often hard truths — to power. In that spirit, let me be unequivocal: today’s leaders are too emotionally unstable to be trusted with the world’s nuclear stockpile. As I told the Nobel committee last year when accepting the Nobel Peace Prize on behalf of my organization, the International Campaign to Abolish Nuclear Weapons, nuclear arms are a “madman’s gun held permanently to our temple.” And it is mad men with their fingers on the trigger. For reasons that I cannot fathom, nuclear weapons have been coopted as symbols of male power. 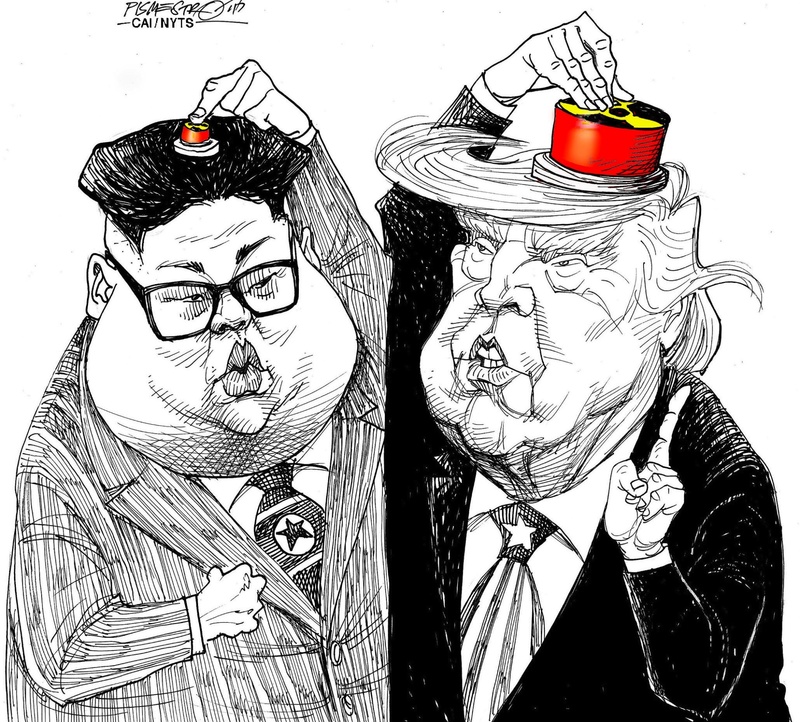 In recent months, North Korean dictator Kim Jong Un and U.S. President Donald Trump have publicly bragged about the “size” of their buttons and the robustness of their arsenals. Not to be outdone, Russia’s Vladimir Putin used his annual address to his country’s parliament to assert that Russia actually has the most potent nuclear weapons of all. He supported his braggadocio with fanciful animations imagining just how “invincible” his missiles might be. It would be less concerning if the rhetorical warfare were contained to social media. But, all three leaders are prone to making hasty decisions that affect real people. For example, Trump reportedly launched a devastating trade war because he was “unglued,” and convinced during a meeting with steel executives that tariffs were a good idea. What if Trump had just attended a meeting with hawks eager to launch a preemptive nuclear attack on North Korea, or goad Iran into conflict? Now that John Bolton is Trump’s national security adviser, neither scenario is as fanciful as it was just a few weeks ago. I am not trying to wage a gender war; nuclear weapons are dangerous regardless of who controls them. Nor am I suggesting that all men with power are unstable. History does include some prudent and visionary male heads of state. But the fact remains that eight of the world’s nine nuclear-armed countries are currently led by men (Britain is the sole exception). And, judging by the conduct of three of these leaders, the planet’s nuclear weapons are in terrifyingly impulsive hands. I am tempted to absolve these leaders of their reckless rhetoric by blaming it on biology. Maybe it is simply in their genes to behave as brutes, lashing out recklessly when wounded or threatened. It’s hard to go against one’s nature, I might say. But to forgive Kim, Trump and Putin on these grounds would be sexist, and this is not a gender issue. Rather, the issue is the existence of the weapons themselves. Throughout history, far more thoughtful leaders have brought the world to the brink of nuclear war and many were fortunate to pull it back. I am not so certain that such caution would or could be exercised today. Nuclear weapons cannot be left to the whims and fancies of dictators, authoritarians and democratically elected presidents — gender notwithstanding. Conflict between nuclear states would unleash destruction so incomprehensible that, according to the International Federation of Red Cross and Red Crescent Societies, a humanitarian response would be impossible. Given the risks, then, how do we proceed? There is only one answer: doing away with the weapons altogether. For more than seven decades, leaders of nuclear-armed states have relied on an unstable compound of fear and luck to keep their populations safe from total destruction. But that luck is running out; at some point, an accidental or intentional launch will trigger global contagion. 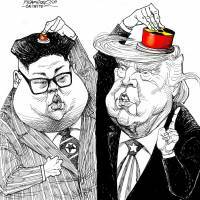 And with particularly fragile egos currently leading the world’s biggest (America and Russia) and most unpredictable (North Korea) nuclear-armed states, the doomsday scenario is simply too plausible for comfort. The world as we know it could vanish with just one tweet across the Pacific from a “dotard” to “rocket man.” Nobody should have that kind of power in his (or her) hands. It’s time that we took these weapons away from everyone — before the most reckless leaders get us all killed.